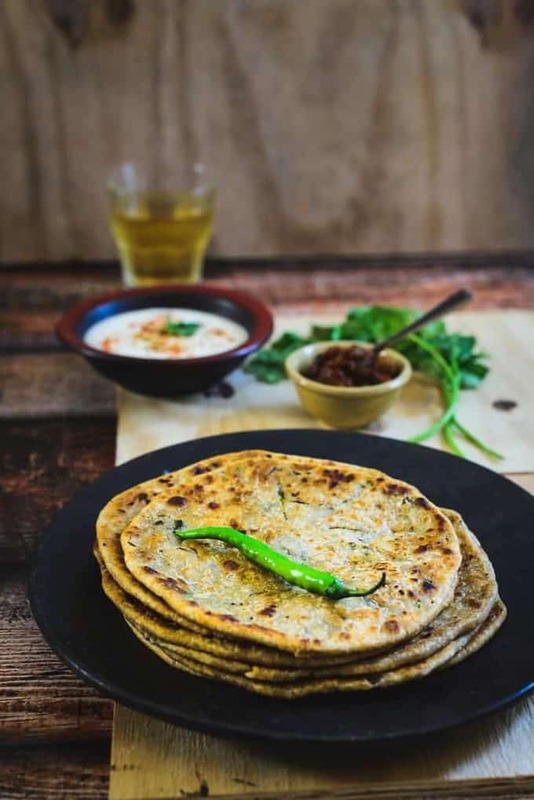 Kacche Papite Ka Paratha or raw papaya flatbread is a nutritious accompaniment to gravy dishes and curries, that uses the papaya vegetable in its raw form, therefore with all its nutrients intact. Papaya is an excellent source of Vitamin A, and contains the digestive enzyme ‘papain’, that aids in digestion. It is a wonderful way to give kids a healthy meal of this vegetable in their lunchbox, without them actually knowing what it is made of. Mix flour, salt and oil in a bowl. Mix nicely using finger tips. Cover the dough and keep aside for 20 minutes. Squeeze the papaya and get rid of the water. Add green chili, coriander, garam masala powder and amchoor powder and mix well. Divide the dough into 6- 8 equal portions. Dust and roll the dough ball into a 5 inch disc. Keep 2 tbsp of filling in the centre and bring the corners together. Dust again with dry flour and gently roll to make a 6 inch disc. When the griddle is hot, transfer the paratha on the griddle. Cook till brown spots appear on both the sides. 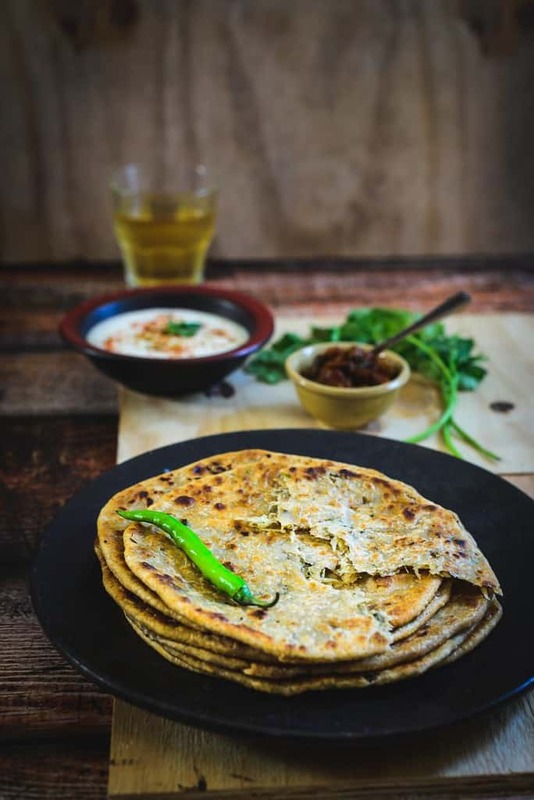 Apply ghee or oil and cook the parathas till golden brown from both the sides. Keep pressing the paratha while cooking with the back of a ladle for making it crispy from outside. Make all the parathas in the same manner.